That’s right. 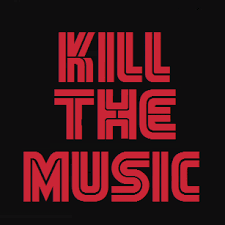 Let’s kill the music and take a step back into the world of reality. There are so many good people out there educating the public to the dangers of Islam. Unfortunately some of them shoot themselves in the foot by promoting the false notion so called moderate Muslims are going to save America from Islamic rule. But believing that will happen is nothing more than a feel good fantasy. One of the groups many of them support is The Clarion Project. 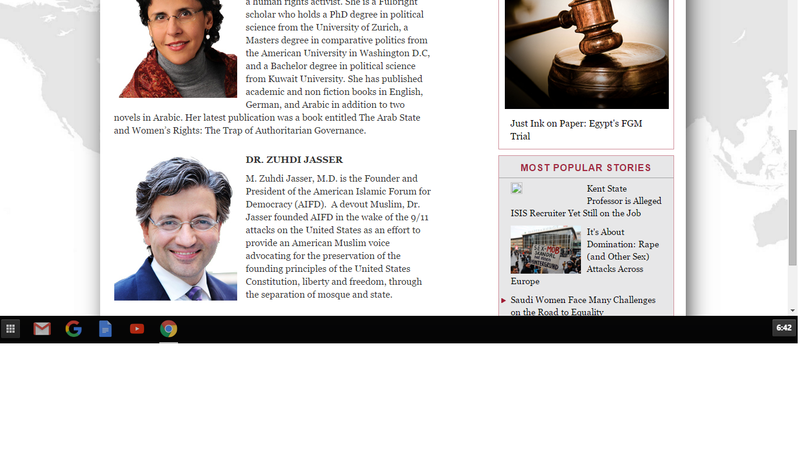 Which is lead by none other than America’s poster boy “moderate” Muslim Zudhi Jasser. For years I have been speaking out against one of Islam’s most dangerous weapons. Interfaith talks. Talks used by Muslims in order to give naive and trusting non-Muslims, the false sense of security that Islam is no threat to them at all. For years I have also taken heat from fellow conservatives for opposing The Clarion Project and their spokesperson Ryan Mauro. But I stuck with my convictions because I do not believe in spreading false hope, and today we see just how how far-fetched their ideas really are. In fact this one is just insulting. 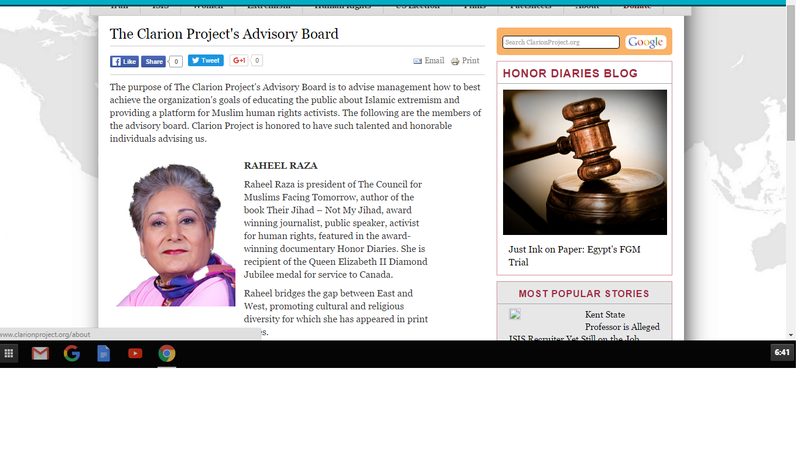 The Clarion Project has now taken the interfaith fantasy one step further. By promoting the false notion that music is going to sooth the savage beast named Allah. The founder of a musical interfaith project explained how music can forge connections between Christians, Muslims and Jews. Mohammed Nazam is the founder of the Berakah music project, an interfaith project that uses music to build bridges between people of different faiths and especially between Christians, Jews and Muslims. Born from Pakistan, he was brought up in the UK and is a die-hard Londoner. He has been a professional composer and musician for over 25 years. From 2001 to 2008 he was a music tutor and team leader at the Prince’s Trust SoundLive courses teaching young people from disadvantaged backgrounds how to write and perform music. He graciously agreed to speak with Clarion Project Dialogue Coordinator Elliot Friedland about his interfaith work through music. As with all interfaith talks with Muslims there is the omission of what Islam truly is. For instance here is what Allah and Mohammad had to say about music. And of mankind is he who purchases idle talk (Lahw Al-Hadith) to mislead from the path of Allah without knowledge, and takes it by way of mockery. For such there will be a humiliating torment. Here is what a Sahih (authentic) Hadith has to say about music. How come Clarion did not let us know what the Islamic scriptures have to say about music? Is it because the Muslims involved don’t want us to actually know what Islam is about? Does the music which breaks the laws of Allah negate hate-filled Koranic verses such as the following? As for the disbelievers, I will chastise them with a terrible chastisement in this world, through being killed, taken captive and made to pay the jizya, and the Hereafter, in the Fire; they shall have no helpers, none to protect them from it. 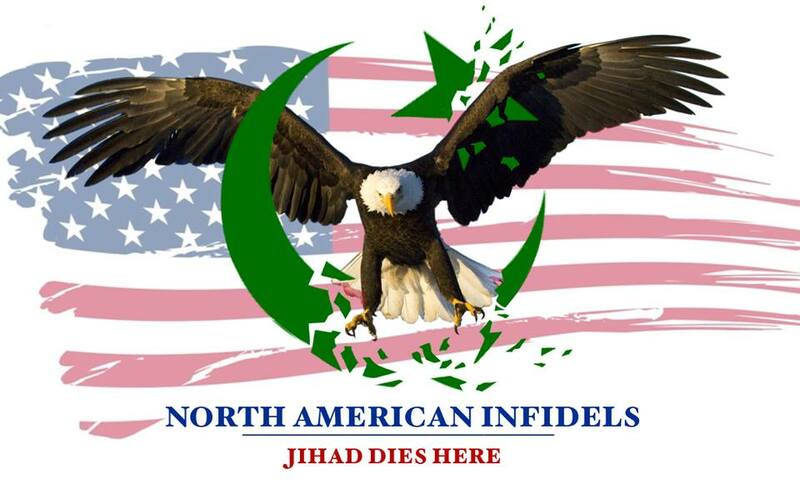 ← Ahmadiyya Muslim Community Exposed for Misleading America on Islam!